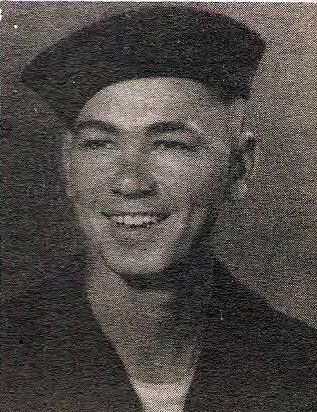 Oiler Arlon C. Crosthwait, son of Mr. and Mrs. L.T. Crosthwait, Olney, graduate of Olney High. Entered Mer. Mrines, 1945, trained in Avalon, Cal. Served on USS Benjamin Bonneville.